As divorce becomes more prevalent among “baby boomers,” questions often arise on the treatment of Social Security benefits in divorce. Pennsylvania Courts do not consider Social Security benefits as an asset to be distributed between divorcing spouses. Each of the parties retains his or her benefits upon divorce. It doesn’t matter if the matrimonial action is brought in Delaware County or any other county in PA; the law is the same. When are Social Security benefits considered in a divorce? However, income disparity is a factor to be considered by the divorce court in determining how marital property is divided between the parties. When determining the amount and duration of an alimony award, the court will consider Social Security benefits in the income of the recipient spouse for those purposes. Most people seem to know that the amount of your Social Security benefits can be calculated on the basis of your own earnings record or the earnings record of your spouse. Generally, if the benefit calculated on the basis of your own income is less than 50% of your spouse’s full benefit, you may be able to collect on the basis of your spouse’s earnings record. Can you file for spousal or survivor benefits after divorce? A frequently asked question is whether or not a party can file for spousal or survivor benefits after divorce. Subject to certain requirements, the answer is yes. You must have been married to your ex-spouse for at least 10 years and your divorce must have been final for two years prior to filing. You must be single at the time of filing, be at least 62 years old and you cannot already be receiving a benefit greater than your ex-spouse’s benefit. Eligibility for an ex-spouse’s benefit is lost if you remarry. Filing for Social Security benefits is a private matter between you and the Social Security Administration. Your ex will not be notified of your claim even if it is based on the ex’s earnings record. Social Security can be an important part of retirement and post-divorce planning. When considering a divorce in Delaware County, Pennsylvania, consult a qualified divorce lawyer who can help you to understand all of your options. 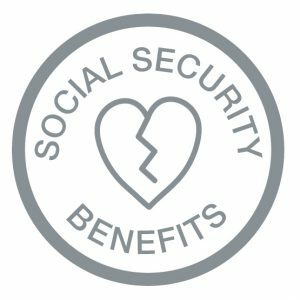 how are social security benefits calculated in divorce?